Jim and twin brother John Wasson never intended to start a winery. By profession Jim was a plumber and John a dam operator for the Corps of Engineers at West Linn. However, after winning the Governor’s trophy for Best of Show at the Oregon State Fair six times they decided to start a winery. 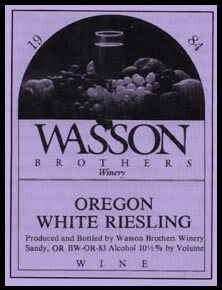 Their first commercial vintage was 1982 and over the years had great success with fruit wines. They also won awards for their Pinot Noir, Chardonnay, and Riesling harvested from their vineyard planted near Oregon City in 1978. 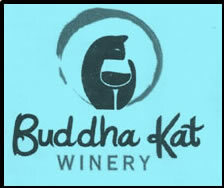 The brothers decided to retire in 2010 and sold the winery to Buddha Kat. The winery was located in Sandy, Oregon.